WELCOME HOME! 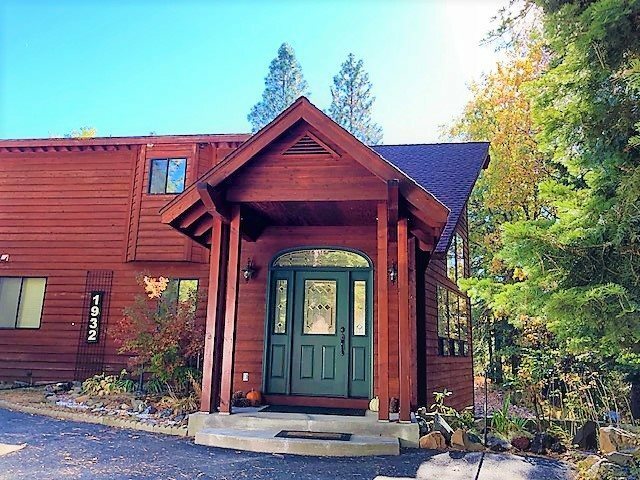 This comfortable 5 bdrm/3 ba home is quiet and peacefully nestled in the woods but minutes to downtown Mt. Shasta. Dramatic picture windows bring in the outdoors and provide tons of natural light. A wood burning stove keeps you warm and toasty on those snowy evenings or switch on the thermostat! 2 bedrooms and bath located downstairs along with living room, kitchen, dining room, breakfast room and spacious laundry/utility room. 3 bedrooms upstairs including a master suite with balcony deck. The master bath features dual sinks and separate tub and shower. Oversized detached garage with additional 15 x 30 (apx sf) extra room with separate entrance. RV parking. Natural landscaping with plenty of open space to the west of the house. A circular driveway to welcome you home! Call today for your private tour!